For some reason, we're finding a bunch of cyberware pieces but no arms or legs. Is there something in particular we're missing? which mods affect tolerance for this mod? Really neat and cool mod. Sadly a lot of bugs and crashes. Github has had no update in a couple of years now. From what I hear there is going be a rewrite so hopefully he stays on top of it. will this see an official update to 1.12? The current 1.12 build, Robotic Parts, is officially endorsed, and Flaxbeard himself is working on Cyberware 2. How can I increase the chance of a blueprint from the scanner. The directions about "having more cyber-ware" are unclear to me. Is there any way to increase tolerance? Tolerance is not my favorite and its the only feature that limits you only build until it reaches red. How to increase then for no more tolerance? Is there a way you could add this mod in 1.8.9? It would be greatly appreciated, especially since there isn't a mod out there like this and it's interesting to see how it works. 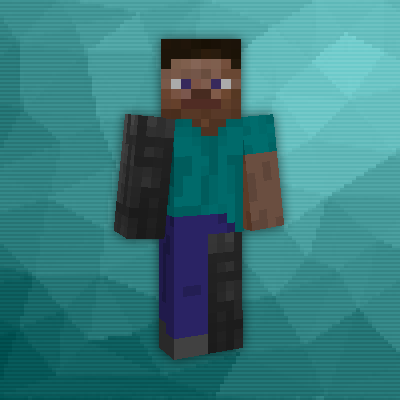 I personally am a YouTuber, I wouldn't showcase, but I would play with it in my mod pack. Mainly because in a showcase that I saw about the mod a while back, It removed hunger as a problem. I am also a content creator here, although all of my stuff got taken down with the curse to twitch switch. Can you add the 1.7.10 version? look at the first line on the description. did flaxbeard drop this too? such a shame. the concept is great. i was really hoping hed develop it further. did he lose interest, or doesnt he have the time atm? CYBERWARE HATES MY PC WHY CANT IT RUN ON MY PC?! I love this mod so much. I hope that you can find some time soon to work on the sequel. your work is amazing! is this mod not developed anymore? it would be such a shame. flaxbeard is such a talented modder, but he always seems to lose interest in his projects after a while. his steampower mod kindof went the same way. or is it just a lack of time? i dont mean to be rude, just curious as he might be a busy person.